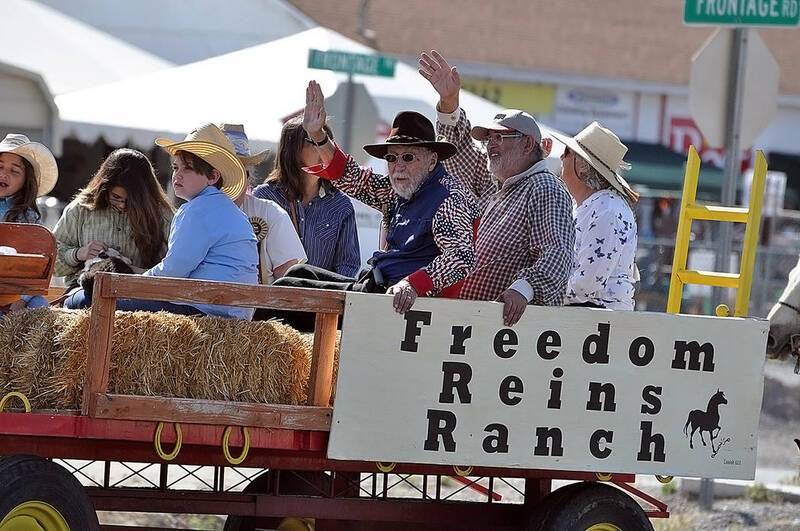 The sight of horseback riders, stagecoaches, and western-themed regalia traveling up Highway 160 this past Saturday was a clear indication that the annual Pahrump Wild West Extravaganza and Bluegrass Festival had returned to town. Horace Langford Jr./Pahrump Valley Times Saturday May 5th's Wild West Extravaganza Parade on Highway 160 kicked off a weekend full of family-friendly activities at Petrack Park and the Bob Ruud Community Center. Horace Langford Jr./Pahrump Valley Times Pahrump's first ever "Taco Fest" was part of this year's Wild West Extravaganza, and Bluegrass Festival. Judge Jason Coblentz is hard at work doing just that inside the Bob Ruud Community Center on Saturday. 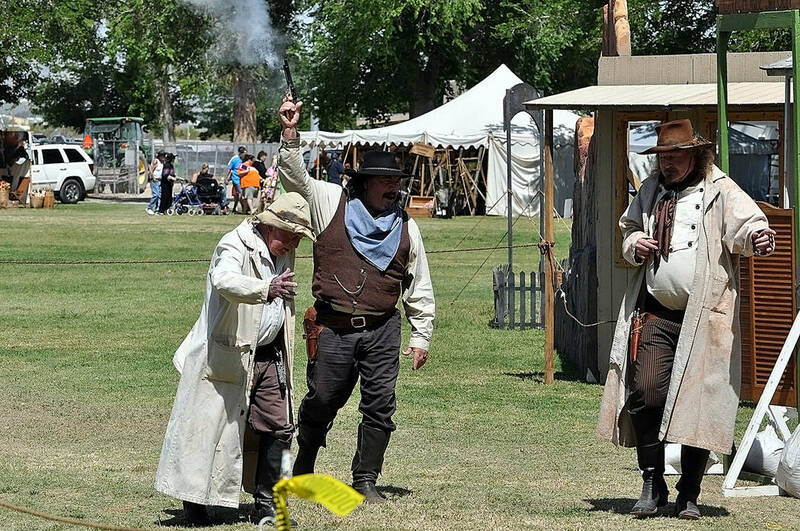 Horace Langford Jr./Pahrump Valley Times The Pahrump Gunfighters have always been a popular fixture at the Wild West Extravaganza and Bluegrass Festival. The group performed western-themed skits, with a little gunplay involved throughout the weekend. 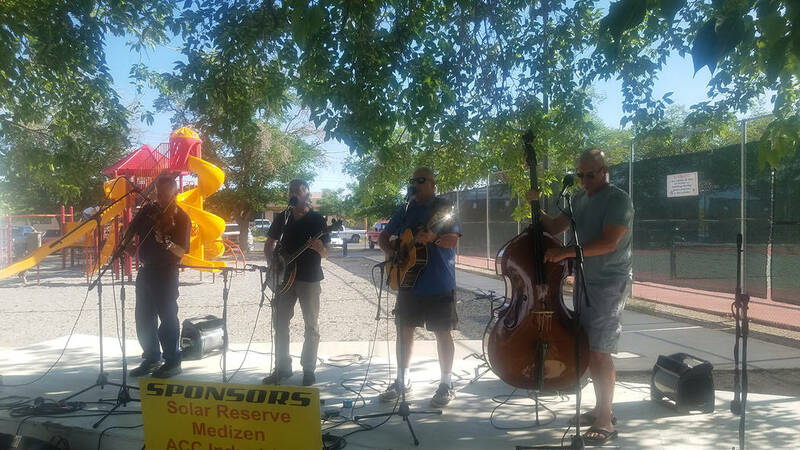 Horace Langford Jr./Pahrump Valley Times Children's games, trail rides and various light-hearted competitions at Petrack Park rounded out the annual Pahrump Wild West Extravaganza and Bluegrass Festival weekend. 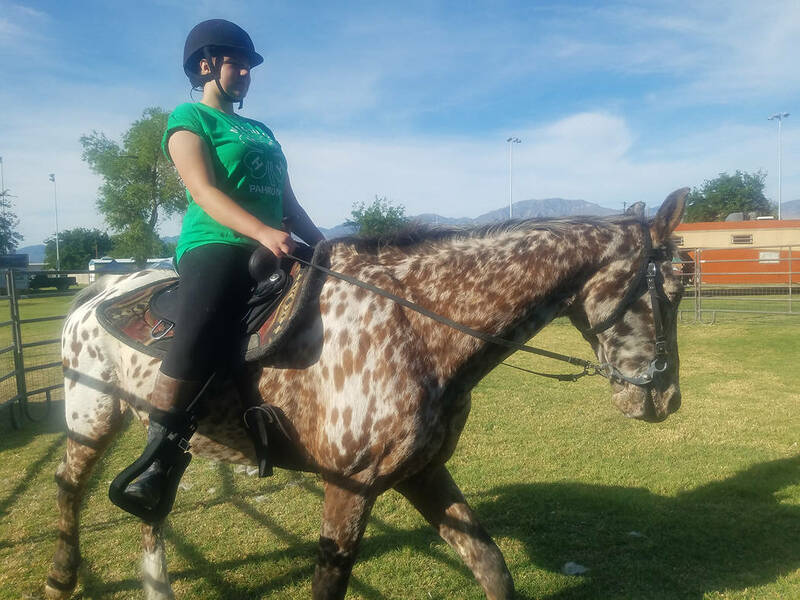 David Jacobs/Pahrump Valley Times Maggie Lepore of 4-H in Southern Nye County rides a horse named Taz as the Wild West Extravaganza and Bluegrass Festival got underway on May 4 in Petrack Park in Pahrump. David Jacobs/Pahrump Valley Times The Out of the Desert band performs at Wild West Extravaganza and Bluegrass Festival on May 4 in Petrack Park. The special event spanned three days. The tradition was started by the late Bob Baker more than a decade ago. 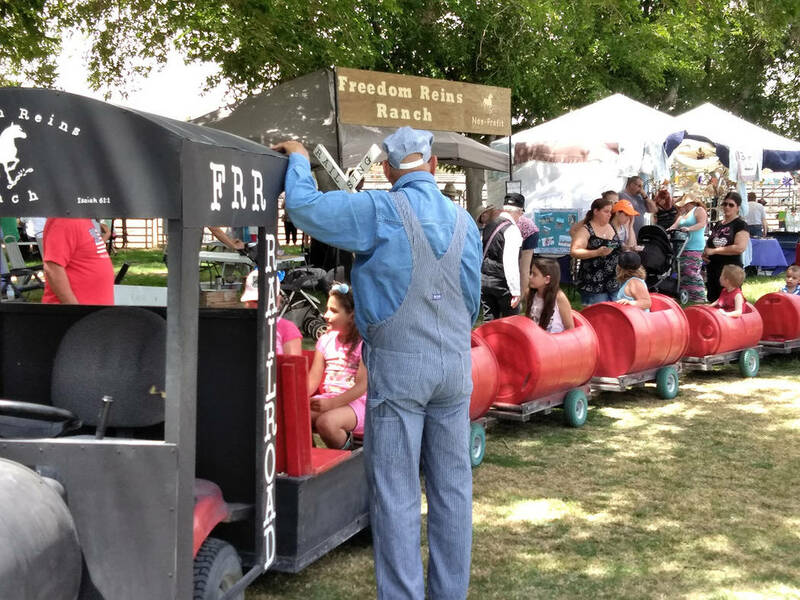 As always, the popular event this year included melodramas, kids’ games, country music, and an Old West boomtown at Petrack Park. Committee member Jim Hannah said he was very pleased with how the event fared this year. Though Hannah did not have all of the numbers in, he noted that attendance appeared to be steady throughout the weekend. Regarding the vendors who participated this year, Hannah noted that many local political candidates decided to set up a booth this year. Additionally, Hannah said there were plenty of activities happening at the park for those of all ages, including outhouse races, a crazy legs competition and the Pony Express trail rides. 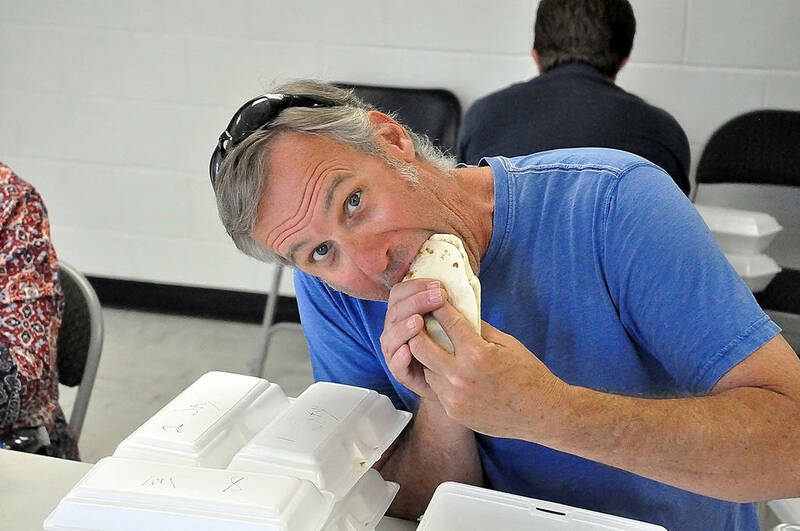 Complementing this year’s event was the first ever Pahrump Taco Fest, where teams of competitors created their best tacos for attendees to sample. Local television news anchor Deanna O’Donnell was the lead organizer of the fundraising event. “I think we raised close to $6,000 for the 4-H Club of Pahrump,” she noted. “I just want to give thanks to everyone who helped out, because it was an amazing group effort. Hannah, meanwhile, spoke about a special event that took place at the park, courtesy of the Pahrump Gunfighters. Additionally, Hannah complimented Mother Nature on her cooperation over the weekend. Go to the Facebook page of the Pahrump Valley Times for more, including a photo gallery and videos of the Wild West Extravaganza and Bluegrass Festival, which ran May 4-6.